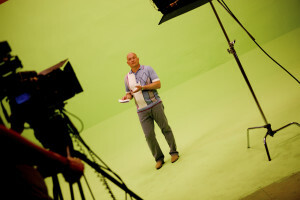 Our highly interactive, exciting class is chock full of craft and techniques designed to offer a foundation in the world of acting. What is one of the most valuable tools a professional actor or voice over talent can possess for auditions in the industry today? Answer: Improvisation! Savvy working talent know the benefits of having solid voice over, television, and film competition. Many auditions today are strictly improvised, and you must be able to think fast on your feet, develop acute quick timing, and detail your role in a matter of seconds in order to book! Whether you are just starting out or a seasoned pro this fast-paced six week conservatory-style class will challenge you as an actor in every way possible from creating clear and concise concepts impromptu to detailing a script within a matter of minutes. Unlike most traditional Improv classes that are game-based, this NY-style Intensive will prepare you with the tools and techniques to shine your next audition and redefine your role for that next project. We will begin unscripted and work towards applying the techniques to copy (theatrical, film & TV). Scripts will be provided, and you may be invited to bring your own for direct application, practice and feedback. Directors and producers love when you come to the set or stage prepared with ideas and ready to execute them on the spot! *Working Vocally & Physically in Specific Environments. *Creating Quick and Concise Scenarios. *Converting a Script into your own words. *Interacting Freely and working off of Scene Partners. *Taking Feedback and Adjusting on the Spot.